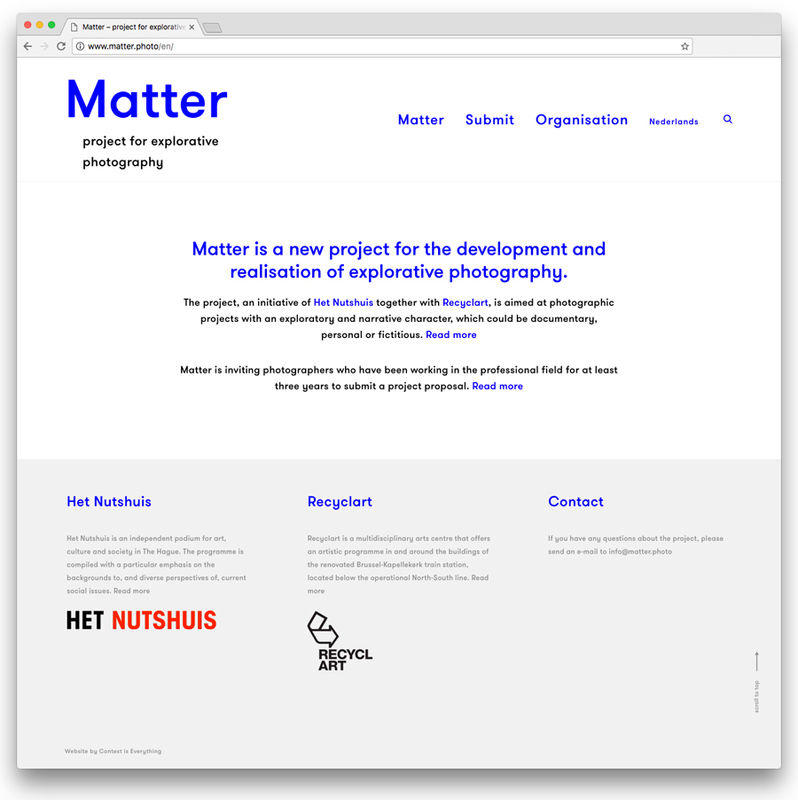 Matter is a new project for the development and realisation of explorative photography. We are living in an era when everyone seems to share everything, including their private lives. Despite this, we are provided with very little depth or background to the things we see and read. Even the traditional media seem less inclined to feature in-depth, exploratory photography. 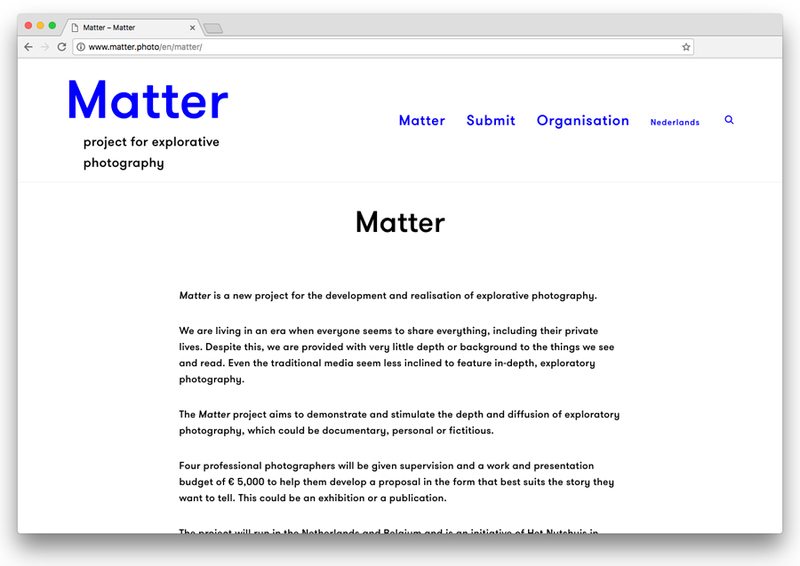 The Matter project aims to demonstrate and stimulate the depth and diffusion of exploratory photography, which could be documentary, personal or fictitious. Four professional photographers will be given supervision and a work and presentation budget of € 5,000 to help them develop a proposal in the form that best suits the story they want to tell. This could be an exhibition or a publication. The project will run in the Netherlands and Belgium and is an initiative of Het Nutshuis in association with Recyclart, Brussels. Two candidates will be selected from each country, and the projects will be presented in September and October 2017 in the Netherlands and in Belgium. Context is Everything designed the visual identity and website.